A fantastic horned, devil mask. Forged of metal, and laser cut, with a gloss black finish. 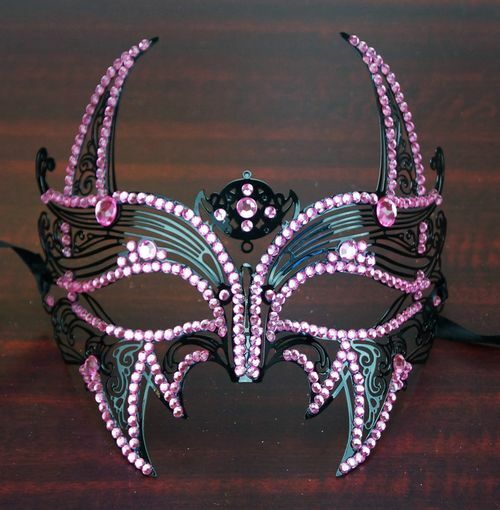 This mask is laden with colored jewels along the upper and lower edges, around the eyes, and bridge of the nose. Comes with black satin ribbon ties, and is available with pink or purple jewels.